Love is in the air — along with the sweet, spicy aroma of Thai food. This year for Valentine’s Day, do something a little different. 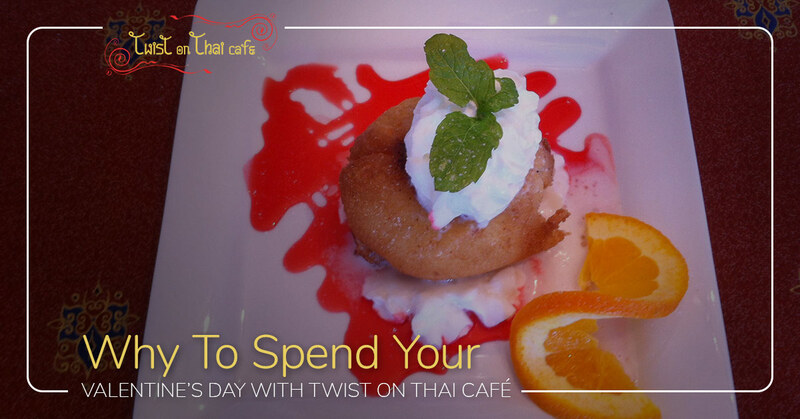 Whether Thai food is your partner’s favorite or you’ve never even tried Thai food before, Twist on Thai café is for you. When you’re looking for places to eat on Valentine’s Day, there are plenty of reasons to choose our Thai restaurant — we’ll go ahead and explain a few of the reasons here. And if your mouth is watering by the time you finish reading this, then go ahead and make a reservation for Valentine’s Day! You can even check out our menu and join us tonight as well if you just can’t wait. You want your Valentine’s meal to be memorable, right? When it comes to celebrating major events like an anniversary or Valentine’s Day, you want to find restaurants that are special, thereby making the event seem even more special. 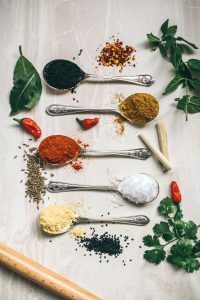 Going to the same local place to eat for every event is nice, but trying a unique, flavorful option like a Thai restaurant can make the event that much more special. For all you know, you may even find it’s your new favorite place to eat and start going there more often. Add some flavor to your relationship with Thai cuisine. Thai food is full of complex flavors, interesting textures, and vibrant colors. 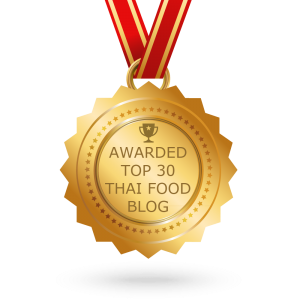 For the Thai food novice to the Thai food expert, there is always something new and delicious to try. Here at Twist on Thai café, we take this seriously by updating our menu with seasonal dishes (like mango shrimp), being a vegetarian-friendly restaurant, and offering exciting twists on Thai food classics (like tropical tamarind duck). If you’re looking for a good place to eat that will take your taste buds on a journey, then our Thai restaurant is just right. Enjoy plenty of variety for an affordable price. 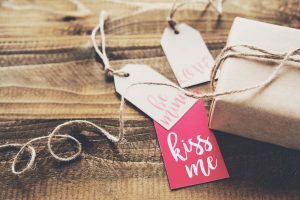 When it comes to an event as special as Valentine’s Day, we know you’re willing to spend a little bit more to make it different than any other Thursday night — but that doesn’t mean you should break the bank! Our Thai restaurant is BYOB, meaning you can sip on your favorite beer while also saving some of your hard-earned cash. We also are offering a special for two that’s available for Valentine’s Day only. You’ll wish we had this special year-round. Two side salads – Choose between our ginger orange or creamy peanut dressings. One Puffy Love appetizer – Puff pastry filled with crab meat and chopped carrot, onion, celery, and dill. Served with creamy red curry sauces. One chocolate mousse pie – Served with a fresh strawberry! Is your mouth watering yet? You’ve found the place to eat in Hopatcong for your special night. Make a reservation today.